If you want to restore a Winclone image onto a partition that is smaller than the filesystem that was used to make the Winclone image, you need to restore the Wincone image to a sparse bundle image, shrink the filesystem, then create a new Winclone image of the sparse image. 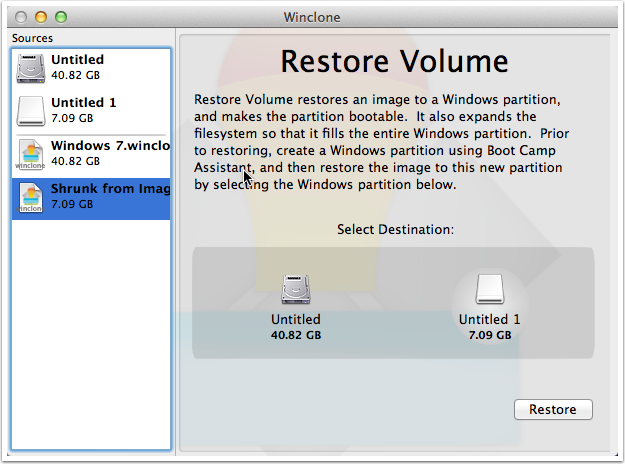 You can then restore this new image to a partition that is smaller than the original filesystem. The example below shows a Winclone image that has a filesystem that is 40.82 GB. However, the files on the filesystem are only using about 7 GB. 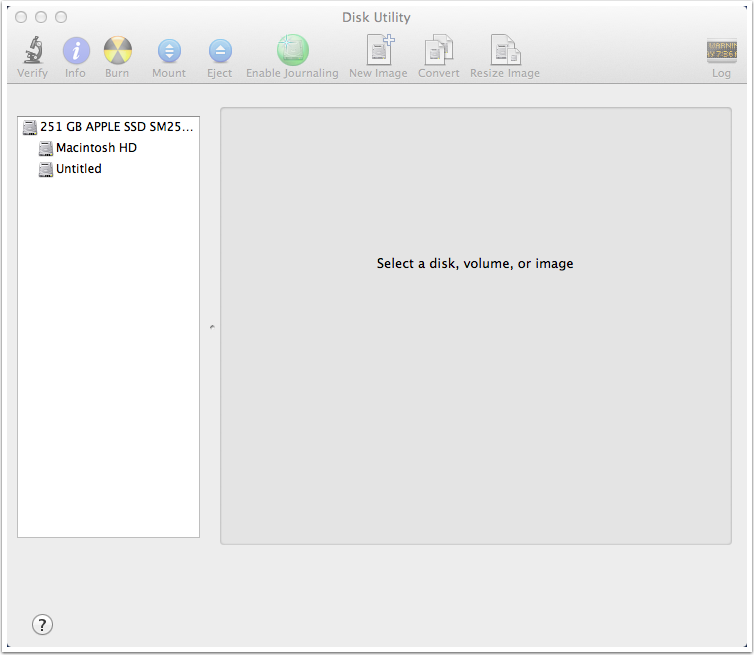 Open Disk Utility in you Utilities folder. Give the image a name and a location where to save it. You must select the Image Format first, and set it to sparse bundle disk image. Sparse bundle disk images grow as data is saved to them, so they do not require much space when you first create them, and will only grow to the size of the used space in the Winclone image (not the partition size). 2. Select a GUID Partition map. Winclone expects any disk that it restores to have a GUID partition map. 3. Set the format to MS-DOS (FAT). Winclone will not see images formatted as HFS+, so you must format as MS-DOS (FAT). 4. The size needs to be greater than the size of the Windows filessytem (this is the value that shows up under the name of the image in Winclone). 5. The Name will be volume name, and will be changed to the source name when the file system is restored. Click Create to create the image and mount it. Once the disk image is created, it will be available as a destination for restoration. 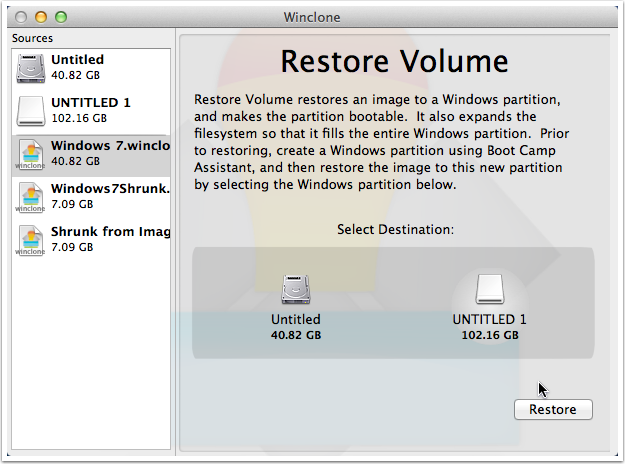 Restore to it as you would your bootcamp partition. You can now shrink the filesystem that is on the sparse disk image. 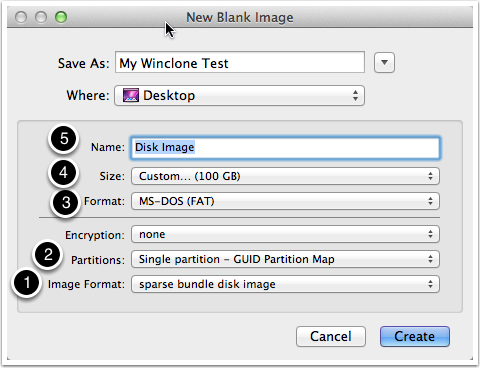 Simply select the disk image, and control-click the sparse disk image in Winclone sources. 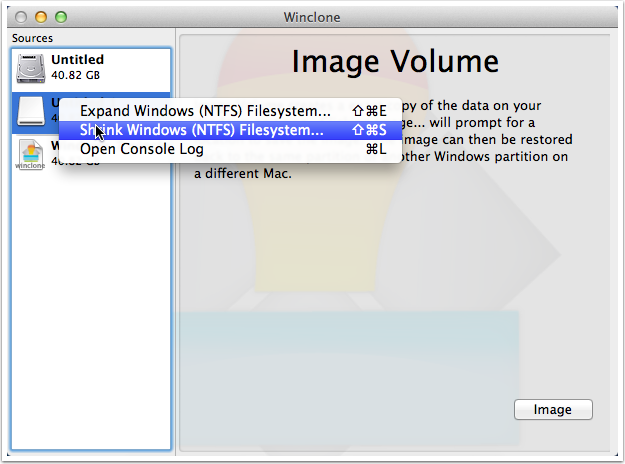 Select "Shrink Windows (NTFS) Filesystem". After shrinking is complete, the filesystem size will be updated. 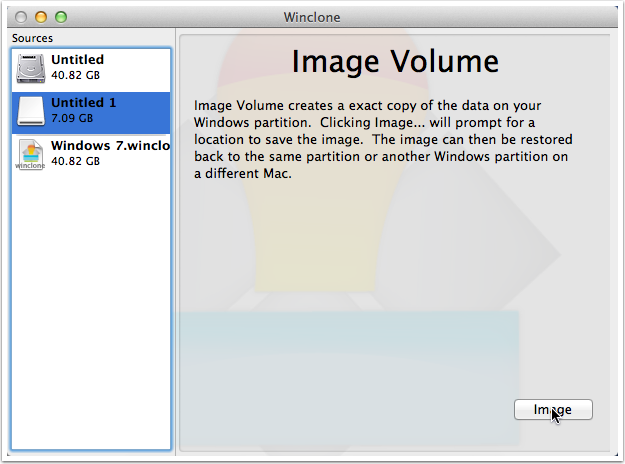 You can now create a Winclone image of the sparse bundle image. 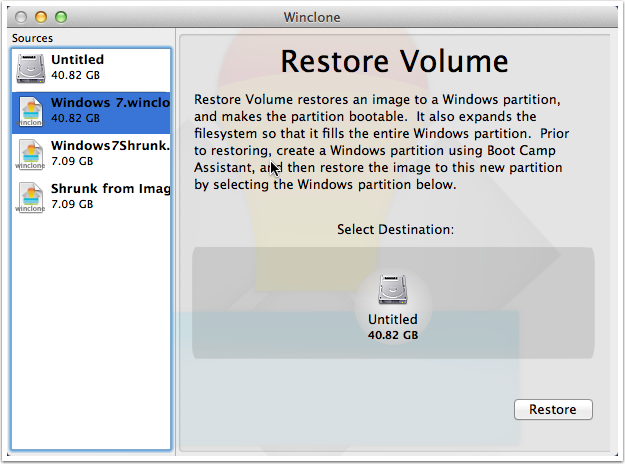 This new Winclone image is now avaiable to restore onto a partition that is larger than the new filesystem size. Article published: April 21, 2017 03:06 . Article last updated: April 21, 2017 03:06 .